Bitly doesn't do this anymore! 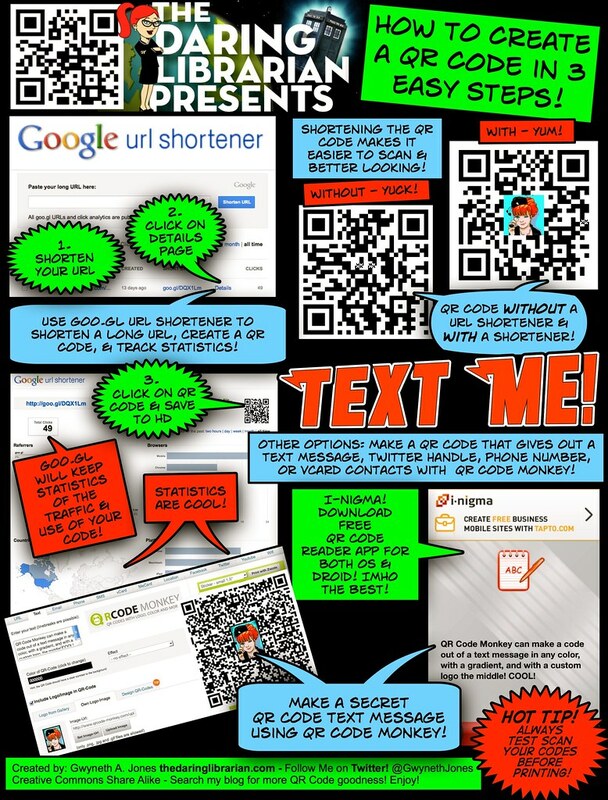 [sad face] but Google URL shortener, does! YAY! 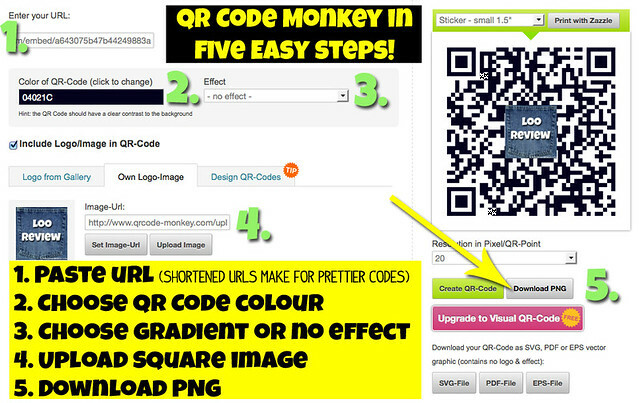 Also, my fav QR Code creator right now for jazzy QR Codes is QR Code Monkey! This is the coolest thing ever! Google saves the the statistics on that code I think for a year. How many times it was scanned & clicked, which country, which days, via which social media sharing format like Tweets, Shares, and Likes, and more! Done! 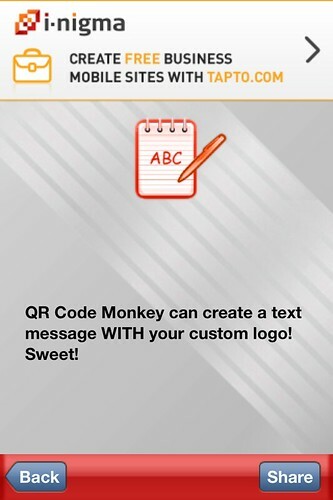 Included in the comic are optional directions for creating a Text Message using QRCodeMonkey!. Here's an example of one that was sent to me from one of my awesome 8th grade Tech Team kids, Kasim! My kids rock! 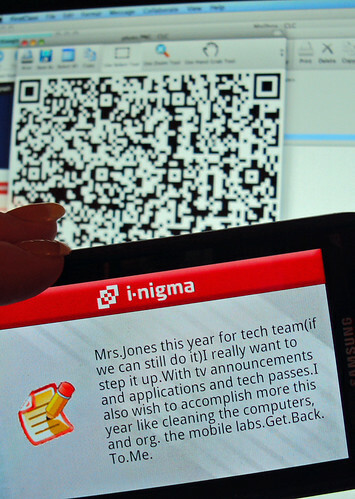 For those of you new to my blog here's my other tutorial on QR Codes. Click the image to get a variety of sizes for download. Want to know how I make these lovely Comic Infographics? Well, of course I've blogged about it! Creating a Comic Life! Naturally, it's Creative Commons! I was SO thrilled, honored, & excited to see that Creative Commons works when I got the following Tweet.
" 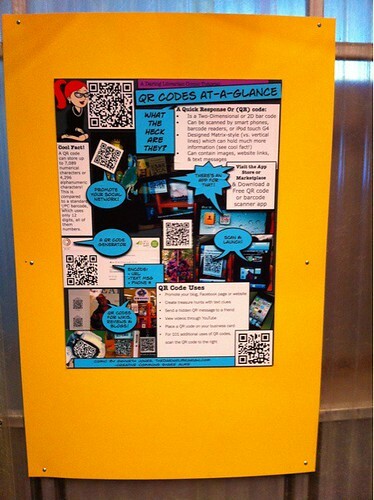 @ghartman Gina Hartman to @gwynethjones Wow...your QR Code tutorial is hanging in St. Louis Science Center (in tech section) yfrog.com/h3v7hrij "
What the What!?? Like, OMG! That is SO cool! I love Science! 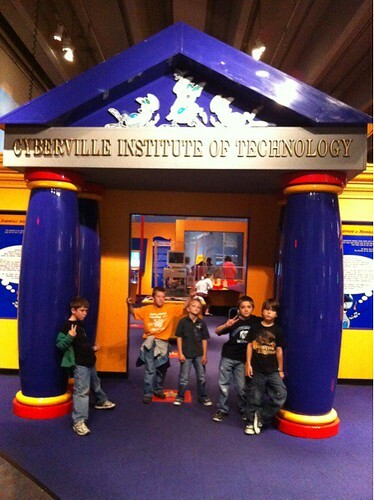 Museums! (Thanks to Thomas Dolby I am incapable of saying or writing the word Science without an evident exclamation mark!) I contacted the museum to thank them for featuring my comic in their exhibit and they were very enthusiastic & kind! 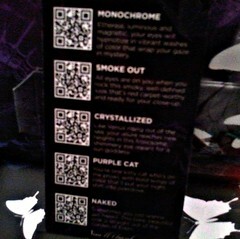 Beautiful QR Codes In My Urban Decay! A new set I got from Sephora that included QR Code links to makeup videos & a special tiny speaker! Urban Decay Book of Shadows - $64. "A mirrored compact of 16 eye shadows, including 10 new shades and "QR" codes that let you use your phone to access Urban Decay's exclusive how-to videos. This much-awaited collection of 16 eye shadows includes never-boring neutrals, provocative hits of shimmer and vibrant hues, as well as a Book of Shadows first—a portable speaker and how-to videos that reveal Urban Decay's five newest looks. All you need is a phone with a camera and a web browser to scan their QR (quick response) codes and instantly download videos. Pick your look, scan the corresponding QR code, plug your smart phone into the speaker, and drop your phone in the cradle. Then, open the drawer of shadows and recreate the look right along with the how-to video. This kit also include a 24/7 Waterproof Liquid Eyeliner, a travel-size Eyeshadow Primer Potion, and a travel-size Supercurl Curling Mascara. "Oh What FUN! Can't find what you're looking for? Search the blog! I know, Aunt Lynnie, right!? Haven't even played with the makeup yet - the box ended up being bigger than expected. The mini-speaker is USB paired so it doesn't help with my Fascinate phone as I hoped but put a few of my fav things together? 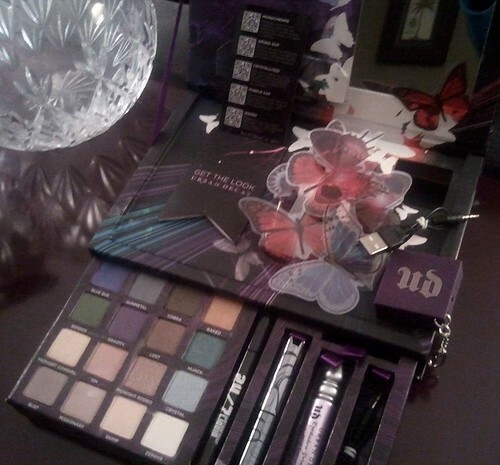 Urban Decay makeup, techie gadget, & QR CODES? How could I resist~!!????? It has been over 4 years since your post, and I am so sad to say that I cannot find anything like your cool make-up box on Sephora anymore. 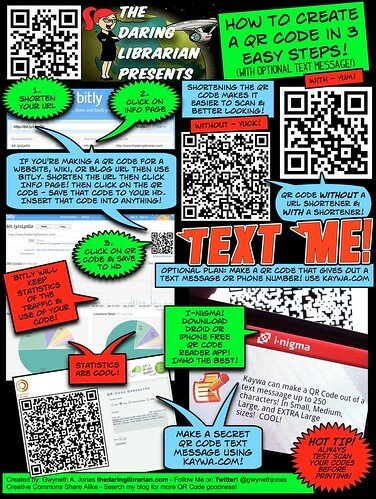 I have been asked to createa a class/PD on how to use QR codes for teachers (a daunting task with so much cool stuff out there), and your site has made my head feel like it is going to explode with great ideas!!! Thank you so much! And if you want that makeup kit you can get it on eBay for about the same price I paid years ago! Search eBay for "Urban Decay Book of Shadows IV Palette" and Voila! I'm sure you'll do great with the PD! Take and use anything I've created! It's ALL creative commons! You almost got deleted for SPAM but I looked at your site & it's intriguing. Of course, Bitly does the same thing, right? & it's Purty!